David Kwang Soo (K. S.) Kim practices exclusively in all matters related to immigration and nationality law, with special emphasis on complex agency cases, deportation defense and federal court litigation. He frequently litigates in federal courts against various government agencies concerning immigration law, including the legality of removal (deportation) orders issued by immigration judges and the Board of Immigration Appeals. 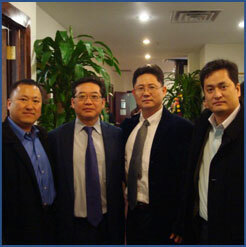 Mr. Kim's clients range from individuals to multi-national corporations in all sorts of immigration cases that include removal defense, non-immigrant and immigrant visas, and federal court litigation against government agencies for unfair denial of immigration benefits. Many immigration, criminal defense and corporate attorneys refer clients to Mr. Kim in recognition of his expertise in immigration law and his ability to handle the most complex of these cases. While in private practice, Mr. Kim has successfully litigated hundreds of cases before administrative agencies and federal district and circuit courts throughout the country. He has won several precedent-setting U.S. Court of Appeals decisions that may significantly impact immigration law in the future. Some of these cases have been reported in the New York Law Journal as top stories.